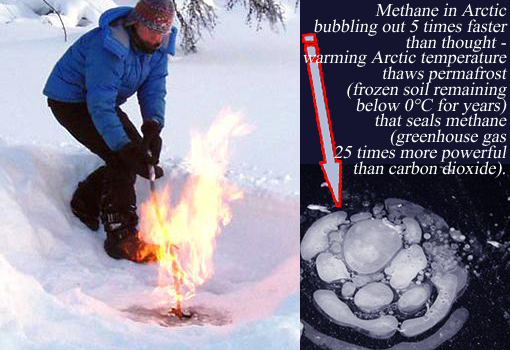 The ice caps melting is a concern not only for rising sea levels but also for the amount of methane gas they release. Ron Bernardi visited Cape Patterson looking for evidence of climate change as described in his letter on the 4th of Feb. It’s not clear whether he accepts climate change is happening or not but his letter does highlight the problem facing ordinary folk looking out their windows and not seeing any evidence of change. As the planet’s average temperature rises we expect and are observing the effects of more energy in the atmosphere, for example more severe rain and flood events. Locally this has caused unprecedented land slips and road damage. In Queensland floods that are considered one in a hundred year events are happening every few years. We are experiencing more hot days than would have been expected. The severe weather events in the US are finally causing enough people and politicians to wake up and acknowledge the need to change so we don’t end up with a world that is 4-6 degrees hotter which is where we are heading now. Ocean acidification, loss of Arctic ice cover and changes in behavior of wildlife are not readily observed from a stroll at Cape Patterson but that doesn’t mean it is not happening. As for Ron’s question on when do the Greens expect sea level rise to inundate Cape Patterson, the answer is that sea levels have already risen but not enough for Ron or anyone else to notice by having a walk on the beach. Sea level rise of metres is ultimately possible if the land based ice sheets of Greenland and Antarctica melt but that will take decades and decades. The whole point of raising these concerns is to avoid the calamity of climate change. Pretending it isn’t happening is for fools. The Greens are the only political party with a serious agenda to tackle the problem. We accept the message is not popular or easy to cope with but it is right. The sooner we transform our energy mix toward renewables the better off we will be with more jobs in new industries, better health outcomes without fossil fuel pollution and better prospects for a safe climate for our children. This entry was posted in Climate Change, Environment and tagged arctic ice, Candidate for Narracan 2014, Cape Patterson, carbon dioxide, climate change, climate change, Greens, happening, hotter climate, methane gas, ocean acidification, politics, renewable energy, Responsible Policy, rising sea levels, Ron Bernardi, sea level rise, wildlife change behaviour on June 29, 2014 by teganchristie.